People get into juicing for its health benefits. Forming this new habit can be a bit daunting, especially if you don’t have the right juicer that would meet your needs or preferences. Once you’ve got the hang of it and know exactly what you want out of a juicer, it’s easy to upgrade or get a new one that fits you better. 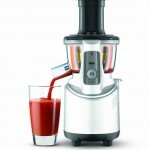 Commercial-grade juicers are ideal for those who juice regularly and share it with their family and loved ones. 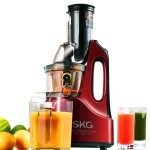 Powerful juicers are also very durable and efficient. Here, we examine the Champion G5-PG710 Juicer. Coming from a reliable brand that produces some of the best commercial grade juicers with outstanding features, this product appeals to serious juicers who want to make the most out of every ingredient they use. It has an average rating of 4.5 stars from more than 300 customer reviews. 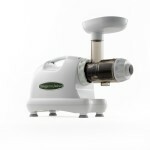 The Champion G5-PG710 model is a commercial-grade heavy duty juicer that has a single auger construction and a 1/3 horsepower, 540-watt General Electric motor that rotates at the speed of 1,725 RPMs. It has an added winding capacity which increases the starting torque but at the same time allows the motor to run cooler. This makes its performance ideal for heavy use. It also has a 1.75-inch diameter feed tube and it is made from stainless steel for increased durability. This model has an updated design with better front and rear endshields as well as ball bearings for better performance. Also, it has different warranties in place – a 10-year limited manufacturer’s warranty, a five-year limited warranty on all juicing parts, and a three-year warranty on its motor. 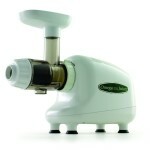 The Champion G5-PG710 model is powerful and durable and can carry regular use for maximum yield of juices. Its capacity is outstanding and it does the work it promises to. Also, it is easy to assemble, disassemble, and clean, so you wouldn’t have to worry about any of these concerns. A lot of users attested to its durability with some having used this model for more than five years without any problem at all. 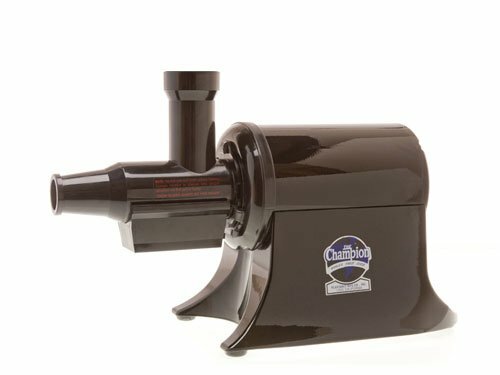 However, some users commented that this model works best as a homogenizer for making nut butters, baby food, frozen sherbet and the like, as opposed to juices. Not a lot of customers made this similar remark, however. 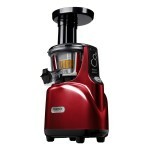 Still, there are some who thought that it was quite a chore to put this juicer together. ​If you have the budget for a high-capacity juicer that does more than just juicing, the Champion G5-PG710 model is a great choice. It is a high-performing model that stands the test of time. In addition, it is reliable and efficient and gives you maximum juices and nutrients with every use.